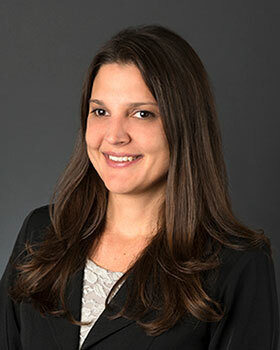 Alaina Grace has 13 years of experience managing large multi-disciplinary and multi-year technical contracts and projects in both the private sector and academia. Prior to joining The Water Institute of the Gulf, Grace was a Senior Scientist with Brown and Caldwell, an environmental-based firm, and served on the lead consultant team working on Louisiana’s 2012 Coastal Master Plan. She worked extensively with the predictive modeling team, the technical advisory committees, and the science and engineering board. Grace served as a research associate at Louisiana State University’s School of the Coast and Environment, offering technical project coordination and management for the Coastal Louisiana Ecosystem Assessment and Restoration program. She worked extensively coordinating a number of review and modeling teams, as well as technical review panels. Her experience also includes work with the Northern Gulf Institute and the LSU Coastal Sustainability Studio. Grace earned a bachelor’s degree in biology with a minor in chemistry from Nicholls State University in Louisiana and a master’s degree in biology with a focus on coastal ecology from the University of Louisiana-Lafayette.